3 Healthy Snacks Your Child Can Eat at School | Advance Childcare, Inc.
Our kids are very picky when it comes to food. Once they see vegetables and fruits on their plate, they seem to lose their appetite no matter how we try to convince them that it is delicious and good for their health. When they ask for snacks, they tend to ignore this healthy stuff and focus on the chips and sandwiches on the plate. Getting our kids to eat healthy is a challenging task. We have to think of different ways just to feed them. But at Advance Childcare Inc., your partner when it comes to Child and Adult Care Food Program in Texas, we can help you find ways to encourage your child to cultivate the habit of eating healthy through our different programs. For one, we can give you some healthy snacks that your children will surely love. We have come to realize that perhaps the favorite snacks for our child would have to be cookies and milk. No one can beat this perfect combo when it comes to snacks. But there are times when cookies can be too sweet or fattening that it might not be good for our child to eat on a daily basis. Thus, you can make use of that oatmeal stacked in your cabinet and use it as an alternative to your cookie. All you need to do is to have a generous amount of oatmeal mixed with milk and a little flour or yeast to make it easy to bake. And in a span of few minutes, you can have your very own oatmeal cookies and dip it with milk! Another childhood favorite would have to be fries and potato wedges. This is a quick fix snack for everyone, breaded in different flavors like barbecue and cheese. Although these small fries seem to be harmless at a glance, its calories and oil content is very high, making it so unhealthy for the kids. Sweet potatoes can be a good replacement for processed fries. Sweet potatoes are very good for our metabolism as it can clean our digestive system, removing excess toxins and fats in the body. Cooking it in heated olive oil and then fry it until it becomes crisp can make sweet potatoes taste and look like our favorite French fries. But this time, the flavor is all natural and healthy. You can even dip it with your ketchup! Fruits can be kid’s favorite only when it’s apple, orange, grapes, or watermelon. The kids seem to like these fruits because of its color that makes it look appetizing. But the nutrients we get from them may not be enough to sustain a healthy well-being for our kids. This time, you can make your child eat assorted fruits by cutting them in decorative manners and serving it in nice plating to make them forget about what they eat and just focus on the taste. You can also make a good dip that would go well with the fruits. You can buy a sweetened yogurt or a yogurt ice cream to make it cool and perfect for the summer, or you can make use of sour cream, brown sugar and cinnamon to glaze on the fruit. Surely, this will taste superb the moment your kids try it. 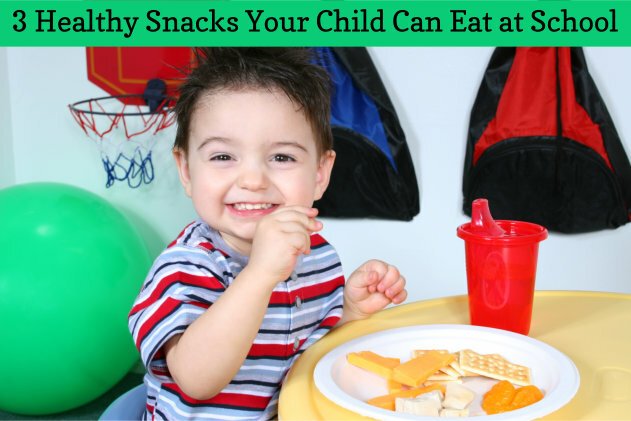 For more tips on health diet for kids and snack ideas, you can ask our experts at Advance Childcare, Inc., a trusted CACFP Management in Texas. You can contact us through www.advcc.org or call us at 903-872-5231.